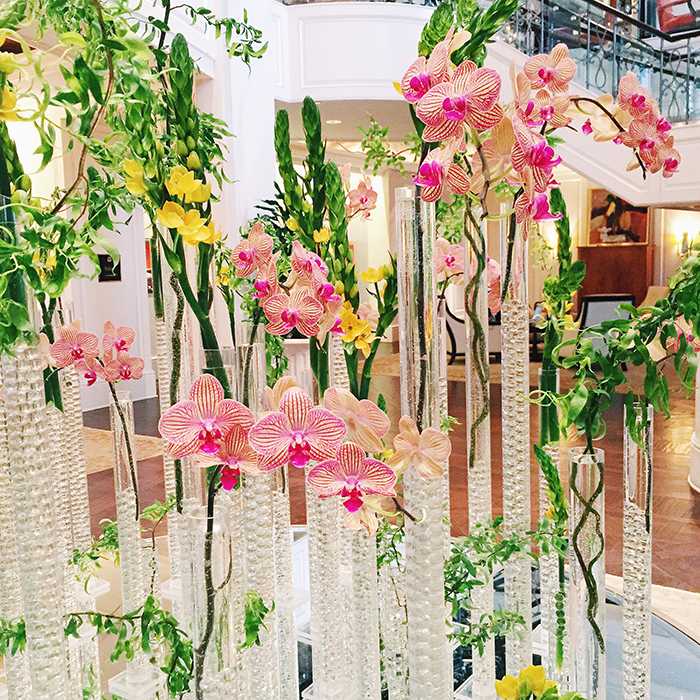 Beautiful flower display in the lobby at The St Regis Atlanta! 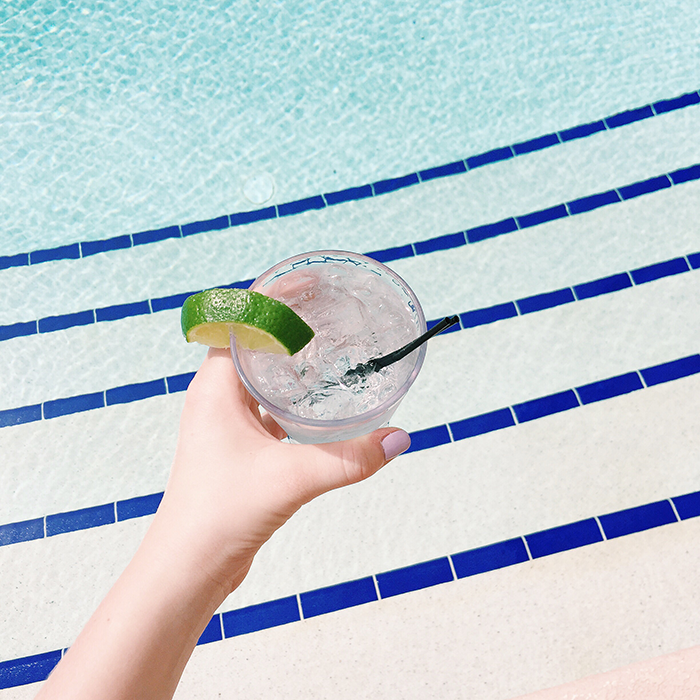 I enjoyed a few hours by the pool at The St Regis once the sun peeked out behind the clouds! We’ve enjoyed some gorgeous weather since we got here on Tuesday – we’ve been very lucky! 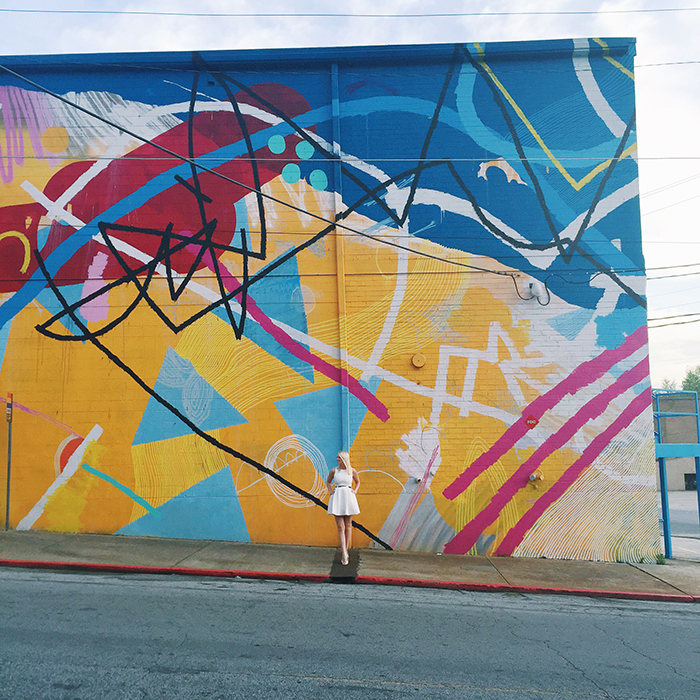 Came upon the neatest wall that was situated directly across from our dinner spot in Atlanta on Tuesday, Miller Union. So colorful and fun, don’t you think? Taking a break and resting our feet after a long day at Augusta National. A little al fresco cocktailing at our hotel, The Partridge Inn, did the trick! Last night’s look for dinner in historic old town Augusta. 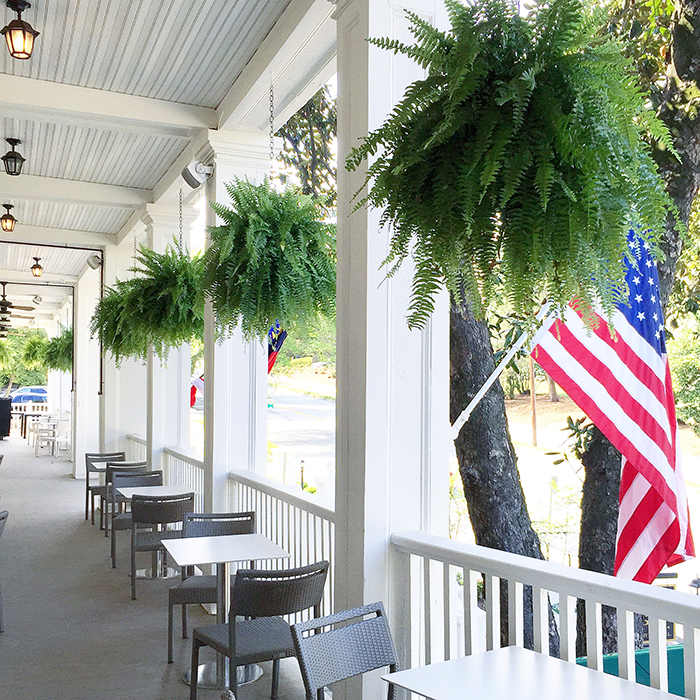 If you’re ever in the area, you must try Frog Hollow – the service wasn’t the fastest, but the food was AMAZING! 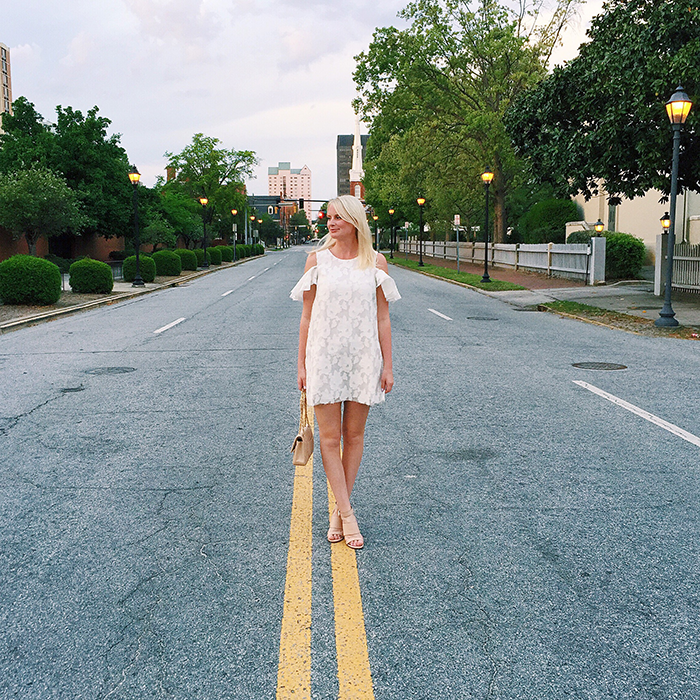 Loving this frilly little white dress from ASOS! PS – it’s under $100! If you saw this on my Instagram yesterday, my apologies. The link to the dress wasn’t working, but this link works now! I had a completely different post planned for today, but I decided to give it the boot and give you an update on my Georgia travels thus far instead! It’s been very fun and very busy, as you can imagine. If any of you have ever been to a legit golf tournament, you’ll know there is a TON of walking involved. We walked about 7 miles in blaring sunshine yesterday (I’ve got some bad sunburns and the aching feet to prove it) and will be doing it again today! My family is here to support and cheer on our dear family friend, Ben Crenshaw, golf legend and two-time green jacket winner. He is celebrating his last Masters tournament this year, so we wanted to come along and get in on the action! It’s been a wonderful time trotting along the course with our other friends from Austin and cheering Ben on at each hole. We’ll be heading back to Texas tomorrow, but until then, I’ll be busy in Augusta! I hope you all have a fabulous Friday and rest of your weekend! your dresses are so cute, Asos is the best. Georgia looks so gorgeous and relaxing! I love both of your white dresses too, especially the fit n flare. Love these white dresses, and I need a new one too! Both ASOS dresses are gorgeous! I love that shot of the orchids, beautiful! I would love to go to the masters! I actually just recently started up golf myself! Hope y’all are having fun! I need some of those pimiento cheese biscuits in my life stat. Looks like so much fun and I am loving the white dress! I love both of your white dress! I’m obsessed with your instagram :) You take beautiful pics. What beautiful photography and I love this LWD on you! Ok, I NEED that white, mesh dress! It’s so cute!!! I’ve been eyeing this dress for awhile on asos. How did the sizing work? In Reiss, I’m a UK 10/US 6 and in Ted Baker I am between a 2 and 3. I’m 5’9″ tall (I think you are too). Thoughts?